Green Future Building (GFB) is a not-for-profit social enterprise in Elland, committed to helping young people to get into employment in the sustainable construction industry. It is also a business with the importance of nature at heart. All projects led by GFB aim to benefit the natural world by working with the surrounding environment to create structures and spaces that will encourage wildlife and enable people to learn and grow closer to the landscape. One recent project in particular is set to inspire and educate generations of school children for up to 50 years to come. The Margaret Baxter Wildlife Garden at the Lakeside School in Derbyshire was designed and built by GFB and its specialist partners as part of an education and design program to encourage children’s learning of the natural world. Alongside a wildflower meadow and wetland habitat, a bespoke bird hide and hedgehog-friendly fencing with tailor-made wildlife cut outs were built. Both extensively feature MEDITE® TRICOYA® EXTREME (MTX), and MEDITE PREMIER FR MDF. MTX was especially beneficial for this project for many reasons, as Dr Nigel Oliver, Business Manager at GFB, described to us in an interview: “It is a product made with natural fibres, manufactured by a sustainably managed company and most significantly, it’s that up to 50-year guarantee that really is ‘the one’ for us,” Nigel confirms. Measuring seven metres long and four metres wide, the hide is a sizeable structure using 30 sheets of MTX, allowing up to an entire class of school children at a time to observe birds and other creatures. It also has a feature log wall (with cavities for bees) and will eventually incorporate a ‘living roof’ of leaf mulch, local grasses and wildflowers. MTX is acetylated MDF, guaranteed to last up to 25 years where it is in contact with soil- such as where it meets the ground and the living roof, when it is installed- and up to a staggering 50 years elsewhere, in all outdoor weathers. Nigel explains: “We started using MTX about a year ago for some select outdoor projects. We have gradually switched all our work to use MEDITE products, but in particular MTX, as we were so impressed with it. Twenty-eight sheets of MEDITE PREMIER FR were used, a flame retardant MDF panel offering fire protection by lining the inside of the walls. This was important as the hide is built on school property and will be used mainly by children and their supervisors. 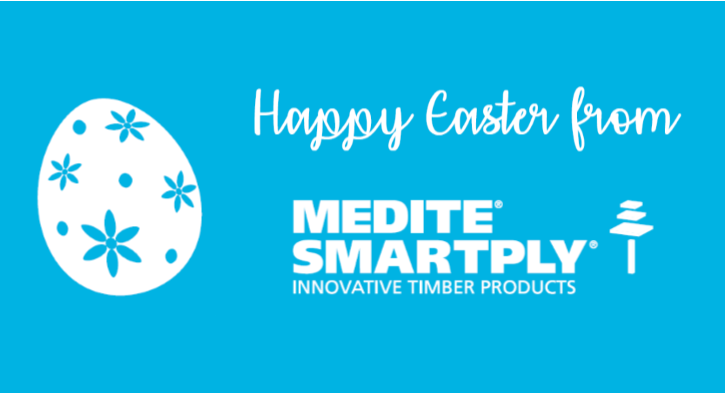 Peter Clifton, Product Manager for MTX at MEDITE SMARTPLY, commented: “MTX’s standout qualities are its durability, dimensional stability and ability to be used in environments not usually recommended or sometimes even possible for wood-based panel products. A living roof installation will normally not be possible using most other wood products. Prefabricated panels for the hide were measured and cut using a CNC router and assembled by GFB on site. It took around 242 hours to complete the project, but it will potentially be in place for up to half a century to come. Although officially founded in 2012, GFB’s work actually began from its roots as a community project, the “Green Business Network” in 2003. It first won funding in 2008 from Northern Gas Networks to pilot an apprenticeship scheme, and further grow into the successful social enterprise it is today. Continuing to support young people in their local community, GFB are now leading suppliers of specialist nature conservation products designed to meet the challenges of Britain’s landscapes.